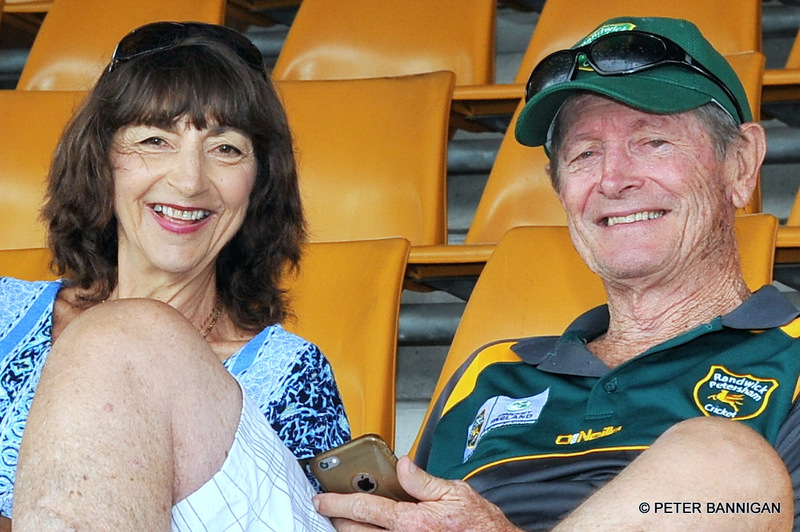 The Randy Petes were looking to bounce back in Round 12 after a tough weekend against Easts which saw all five Grades beaten. The losses were damaging in the Club Championship, with the Club dropping to 12th heading into this round against a Bankstown side in 6th place in the Club Championship. With four of the five Grades still having a chance to make the finals, there was still plenty to play for as we head in February and the final four rounds of the competition. It was also a big weekend for Metropolitan Cup with the Derby between Green and Gold with finals spots at stake! Read below to see who starred in Round 12. First Grade were set for a full weekend of cricket with a Saturday/Sunday fixture against sixth placed Bankstown at Bankstown Oval. The side was unchanged from the one that went down narrowly to Easts, with the boys looking to keep in touch with the Top 6 with a victory. In what was a close and evenly contested game throughout, the boys managed to hold on for a draw, with Bankstown falling just three runs short of their target, finishing on 6/295 from the 72 overs they were given to chase down our target of 8(dec)/298. Randwick Petersham looked to be in trouble for the majority of a rain interrupted Day 1, slumping to 7/152 with persistent showers favouring the bowlers throughout the day. Matt Everett (29) did really well to bat all bar the opening ten minutes of a tough opening session, surviving a strong Bulldogs’ lineup, and just starting to flourish before he was dismissed. Chhibber (39) and Ayre (41) both batted for long periods with patience and discipline having been the cornerstones of the top and middle order this season. However, the real stars of the batting performance were further down the order on Day 2, with two-game player Dylan Hunter (80n/o) and veteran Adam Semple (65) stealing the show with a blazing 146-run 8th wicket partnership. The blitzkrieg shocked the Bulldogs on Day 2 as the pair combined for 8 massive sixes between them, 5 from Hunter and 3 from Semple. 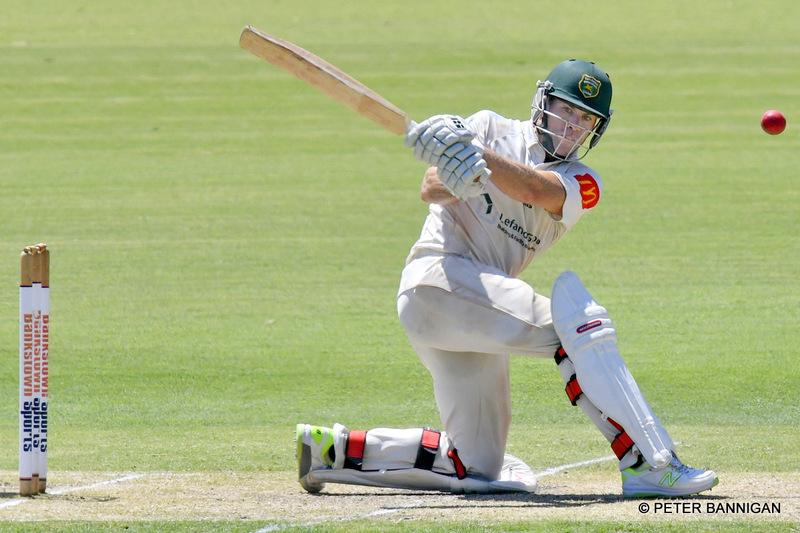 It was a very impressive mix of power and technique from Hunter in just his second game in the top Grade, whilst Semple showed again why for years he has been a genuine Top 6 batsman in First Grade. 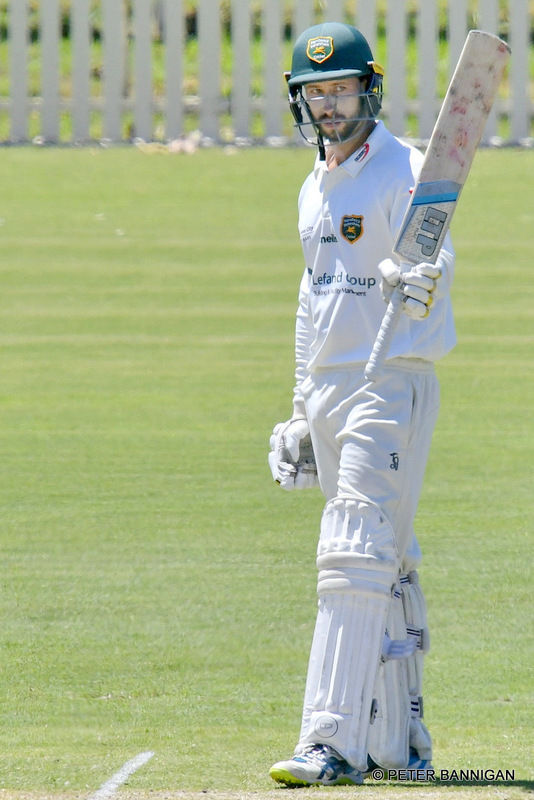 It was hard graft in the field on a Day 2 wicket that was better to bat on, given the hot and sunny conditions on Sunday, with Tom McKenzie (2/41-8) claiming the two important wickets of Solway and Waite. At 6/239 with still 60 runs required for victory there was an opening for victory for both sides, however the Bulldogs 7th wicket took the game away from us with a steady partnership. It was then our job in the final few overs to deny them the target and hold on for a draw which we managed to do. Despite battling hard in the field, the one point for the draw does little for Randwick Petersham’s finals’ chances in First Grade, with the side now in 13th place on 31 points, 12 points behind 6th placed Gordon. Next weekend First Grade takes on 20th placed Manly at Coogee Oval. Second Grade were looking to keep their place inside the all important Top 6 with a showdown against second placed Bankstown at Petersham Oval. Young quick Alex Dellar was up from Third Grade, with the remainder of the side unchanged from the one that went down in a close contest to Easts. In what was an entertaining rain-reduced game, we managed a magnificent victory, coming from a seemingly hopeless position half way through the day to storm to a 20-run victory against our high flying opponents. At 4/31 and 6/75 the Dogs were all over us on a fresh wicket, with persistent drizzle and interruptions helping the seamers. However we managed to dig out a decent score of 157 before rolling the Dogs for 127 in one of the best victories of the season. 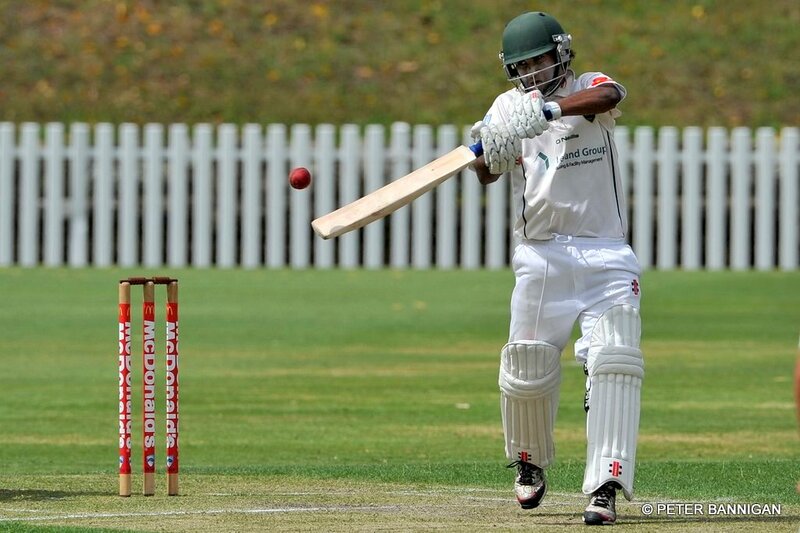 The hero of the batting innings was Ravin De Silva (71) who played a majestic innings in tough conditions at a ground where he has scored heavily in the past. De Silva is an elegant player whose technique can stand up the higher the Grade he plays on the better grounds, and he mixed counter attacking here with some strong defence, scoring six 4s and three 6s in an 84 ball knock. Holland, Burton, Radford and Jenkins all hung in there to put in handy partnerships as the final four wickets put on 82 runs and we took the momentum into the sheds. The Dogs were making a good fist of the run chase at 2/62, before we rattled through the middle order, taking 6 wickets for just 30 runs, to reduce them to 8/92 and with little chance of victory. Despite the last two wickets putting on 35 runs, the run rate was now well in hand, given exceptionally tight bowling and good fielding from the whole side. You couldn’t have asked for a better team effort with the ball, with all the bowlers claiming two wickets and bowling with great control. Jenkins (2/13-8) was the pick of the bowlers, reveling in the lone spinner role, controlling those middle overs from one end as the quicks operated from the other end. Opening bowlers Loth (2/21-8) and Radford (2/33-8) were the perfect mix of control and aggression, whilst Mahony-Brack (2/24-7) and Dellar (2/27-8) also chipped in with a couple of wickets. Skipper Mitch Calder was delighted with the victory especially given the delayed start due to wet square ad having to pick ourselves up from 4/40. Despite some drops Calder mentioned it was our best bowling and fielding performance of the season. All our bowlers executed their skills really well, and well backed up by our fielders. Mac and Dellar’s spell in the middle shifted the momentum our way really grinding the visitors down so they were behind the rate and from there that’s when we took our wickets. Doug Loth a great caught and bowled at his ankles in his follow through. Calder noted it was the best team song of the season given the importance of the victory! It was a huge win in the context of the season with the side remaining in 5th place on 46 points, but now 8 points ahead of 7th placed Manly as we inch towards a finals’ berth. Next weekend we can almost confirm a berth in the finals for the first time in a few years in 2s as we visit 7th placed Manly and look to put a 14 point gap between the two teams. Third Grade needed to get on a late season roll sitting in 11th place, just 7 points outside the 6 with 4 rounds remaining. Sitting in 6th place were our opponents as we made the trip to the picturesque Jensen Park to take on the Bulldogs. With regular Captain Ben Stares away playing in the Indigenous Trophy, the experienced Scott Sterling took over the captaincy. Despite a more competitive performance this week, we were unable to get the chocolates, with Bankstown defending a score of 158, bowling us out for 107 to claim a 41-run victory. 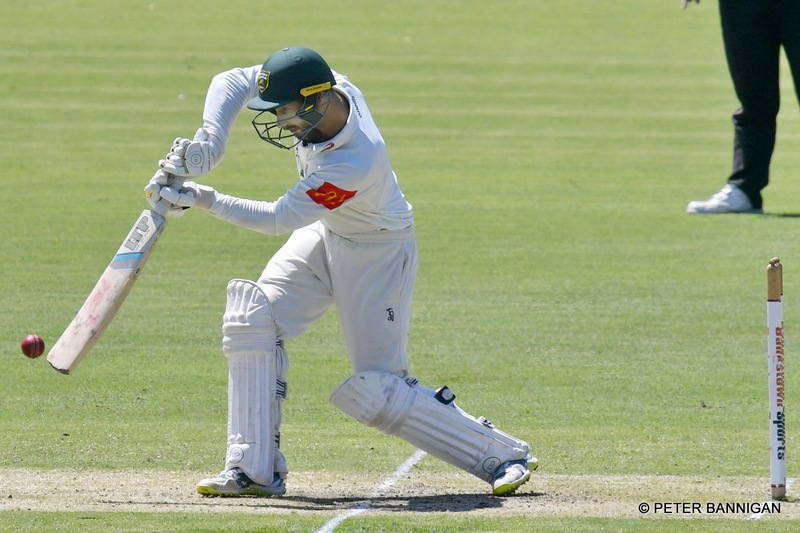 We had our chances to reduce Bankstown to a smaller score at 5/78, before their final five wickets put on 80 runs. With the game reduced to 43 overs per side, our bowling and fielding was very solid overall. Fox (4/28-9) took 4 wickets, including three of the Top 6, bowling a great length and continuing to excel in Third Grade. 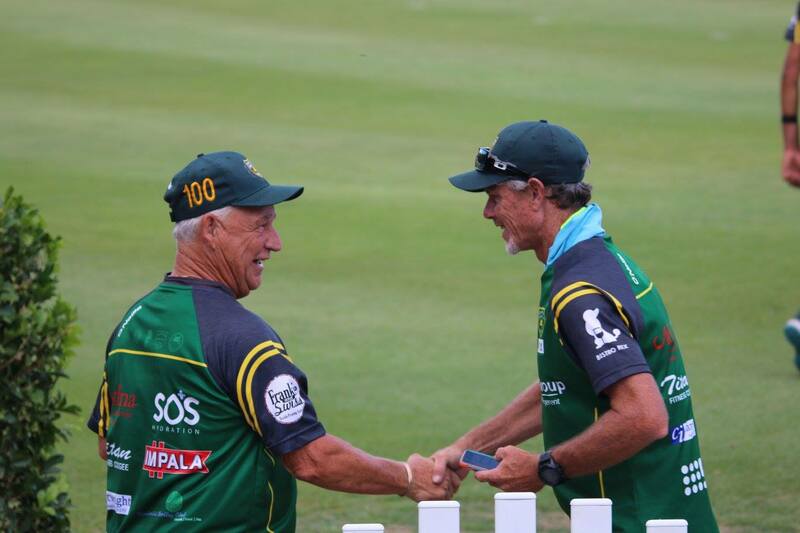 Mitch O’Loughlin (3/20-8) formed a great opening bowling partnership with Fox, snaring three poles, as these two youngsters could well be seen for many years to come opening the bowling together for the Randy Petes. 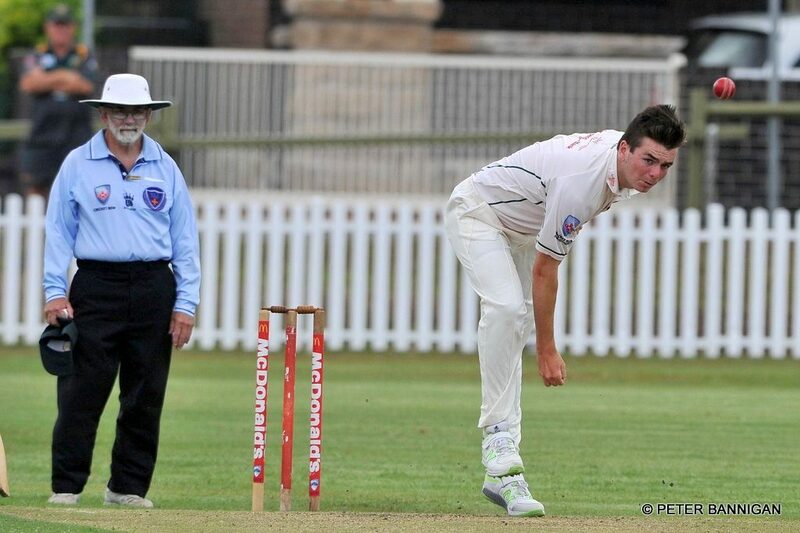 Captain Stirling wanted to give a special mention to Will Hutchison on debut in Third Grade with two wickets. Our batting followed a familiar pattern to recent weeks, unable to build partnerships. Top scores went to Montedoro and Kel Mullins, who gave his best effort in to live up to his nickname of the finisher, but was left with just a little too much work to do. After a steady start at 1/30, wickets fell at regular interval from then on in. Opener Ben Montedoro (35) played a rare innings from the top as wickets fell around him, combining some nice drives and working hard for his runs. Kel Mullins (28) continued his good form as he remained the last hope of us wrestling back the momentum. The result now leaves us in 14th place on 30 points with three rounds remaining. The table remains fairly congested with 6th placed Parramatta just 12 points ahead of us on 42 points. Next weekend we are back on home soil, coming up against 4th placed Manly at Petersham Oval. Fourth Grade were looking to bounce back from a couple of disappointing defeats as they took on 14th placed Bankstown at Coogee Oval. Regular RPC Coach and AWGS Head Coach Glen Standing was a late inclusion, sure to bring some experience and quality to a young side. In what was a very short and sweet game of cricket, we managed to turn the tables on our recent form with a morale boosting victory by 4 wickets in a low scoring game. Sam Boyns taking over the captaincy noted that the game was always going to be be difficult for batsman with a bat pitch and balls popping off a length. We had Bankstown in all sorts early at 4/15 and never let our foot off their throats, rolling the visitors for just 66 in 32 overs. 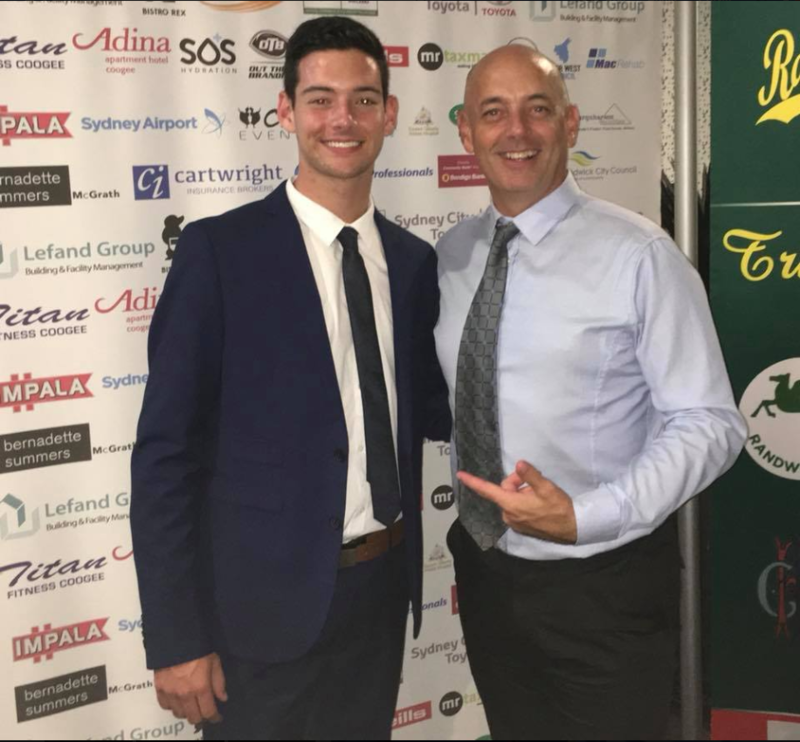 Master Coach Glen Standing showed he had lost none of his skill, bowling left arm seam with aplomb, picking up a 5-wicket haul, swinging the ball and keeping great control throughout. Sam Boyns was also devastating at the other end picking up 4 wickets as the two seamers combined for 9 wickets between them. Nick Saady also bowled really well without much luck. After Neil Crawford got us off to solid start, however, the run chase wasn’t to be without a few flutters as the Bankstown boys started to make inroads into the batting line-up to have us 5 down with still some work to do. However, experienced campaigner Nick Saady (26n/o) steadied the nerves by taking over the game late, playing aggressively, to take the air out of the Bulldogs’ sails and get us over the line. Captain Boyns noted that Saady looked like he was batting on a different pitch to everyone else! Boys wanted to thank both Michael Wood and Antony Sachs for helping throughout the day off the field. The result lifts us to 15th place on the table with a tough game against 5th placed Manly at Beauchamp Park next week as we look to finish season 2018/19 on a high over the final 3 rounds. Fifth Grade were looking to get back into the winner’s circle as they took on Bankstown at Graham Thomas Oval in a match we needed to win to stay in the finals’ race. The side was now in 10th place on 32 points, but only 8 points behind 6th placed Fairfield Liverpool with four rounds remaining. Unfortunately, with drizzle and some overnight rain the match was abandoned without a ball being bowled, denting our chances to make a late run towards the Top 6. We remain in 10th place, however with games getting on across Sydney in Fifth Grade we are now 12 points outside the Top 6 with three rounds remaining. Following a day of incessant drizzle, both teams arrived to find a damp pitch and a soaked run up. And with 5s having already been called off, reinforcements arrived looking to get a game under their belts. Thanks to the dedicated work of the grounds men, a toss was taken at 12 and a 40 over match commenced at 12:30. Gold skipper John Stewart won the toss and elected to bowl on a still tacky surface. The decision almost paid dividends with Gold’s opening bowlers, Anis Bugti (2-36) and Ekkam Partol (1-30), taking a wicket each and reducing the Greens to 2-21 early on. From there though, Sean Rushton (48) chanced his arm and Sayem Sultan (61) used a valuable opportunity to get some time in the middle and pile on the runs. After a 95 run stand was broken by the sharp Dane Coombs (1-16), and Sayem was stumped off Charith De Silva, Max Robinson (23) continued to impress with the bat while the returning Jarrod Hookey (34*) used the advantageous platform to play with freedom. A late flurry from Joel Robertson took the Greens to 202 – a gargantuan score at Kensington off 40 overs. But for a little while, the score looked chaseable as Ed House (24) and Anis Bugti (38) piled on 69 for the first wicket in good time. Bugti was in a particularly punishing mood, harnessing the power of his magnificent beard to pepper the boundaries. Joel ‘Gobbles’ Robertson (2-24) then took his batting form into his bowling, recovering from a wayward first over to take out both the openers, leveraging off the good work from Jack Brennan, Ben Smith and Adam Coombs (younger brother of Dane). All three bowled some great areas with no luck. From there, the spin triplets of Ishrak Imroze (2-3), Rohan Awati (3-20) and Max Robinson (3-13) put the shackles on the scoring then went for the killing blows, making use of a pitch that started to take some vicious turn. The highlight in the collapse of wickets was a stunning catch from Joel Robertson, as he flew like a turkey to intercept a cover drive off Ekkam Partol before recovering the parry one-handed and at full stretch. And with the final wicket, Sayem Sultan completed his 4th catch of the match – all at first slip – to help Green take out the ‘Grouch’ for the first time since 2014-15, which incidentally was also played at Kensington.